Alma Mater Europaea - ECM's undergraduate program in Nursing provides a broad foundation in nursing, as well as in the biological and social sciences, which are essential in the training of skilled professional nurses. Because you will make an invaluable contribution to society, you deserve to be educated at a school which will both challenge and nurture you, and give you the option to pursue diverse opportunities. The Alma Mater Europaea bachelor in Nursing program offers both academic and clinical nursing courses that provide the basis for professional practice in healthcare delivery across a variety of community and hospital settings. Throughout the course of your education, the Alma Mater Europaea - ECM teaching staff will mentor you at every step and encourage you to achieve more than you ever thought possible. Through the acquisition of theoretical knowledge and practical skills, registered nurses develop critical, analytical, and reflective skills to deliver quality care that will improve patient outcomes. The Alma Mater Europaea undergraduate Nursing program provides a solid foundation in nursing care for individuals, families, communities, and people groups across the lifespan and in a wide variety of environments. 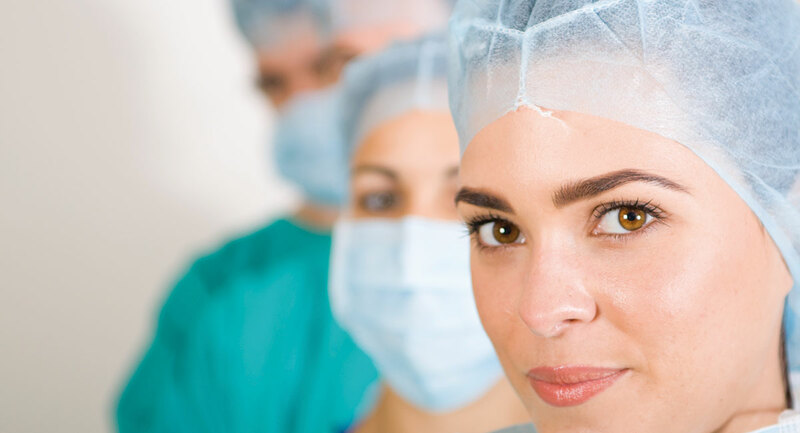 You will be prepared to work with other healthcare professionals in various healthcare settings. In addition, the program is designed to provide a foundation for further study in Health sciences at the graduate level. Students with skill-focused training in nursing are prepared to work in various healthcare settings.